2011 Monaco Vesta 32PBS Class-A Motorhome. Only 30,000 Km. This unit has the Roadmaster chassis powered by the Maxforce 7 diesel engine. 7,000 hitch, Onan genset, Dash mounted GPS, air leveling system, MCD blinds throughout, Ultra leather seating, leather hide-a-bed, with air mattress, upgraded 10 gallon HWT, 2 ducted roof top / heat pump units, 3 camera monitoring system, This 32ft unit is Pristine inside and out. Never been in an accident, still looks new. Never been smoked in, no pets, very well maintained. The pictures speak for themselves, more pictures available on request. $ 5500- 4 year Premium warranty package included (fully transferrable). Please call 204-346-4422 to view. 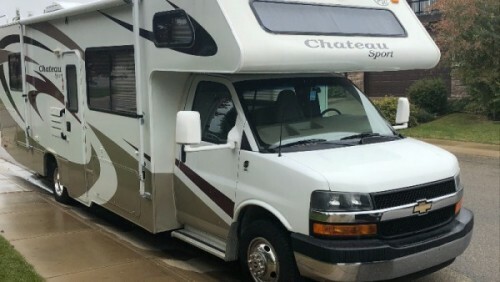 2008 Thor Chateau 28A Sport Class-C Motorhome. Clean. Very low KMs, 62000 KM. All maintenance records, Synthetic oil throughout drive train, Brakes and tires above 80%, Engine compartment looks new, Bunk over cab, Rear bedroom with TV & BLU-RAY, 3 Burner stove, Bluetooth Stereo, Navigation, Backup camera, Satellite dish ready, Sound surround entertainment center, Fridge, AC, DVD/CD Player, Awning, Microwave, ONAN generator, Solar panel charging system, heated tanks, Cruise control, Tilt steering, Tow hitch, Lots of storage, Decals & Paint like new! Paint protection on entire unit, 3M Protection on hood and fenders, needs nothing. Ready to go. Fall savings, Selling to pay for kids college. WONT LAST LONG. Please call 4O3-5O5-9744 to know more. 2005 Newmar Essex 4502 Class-A Motorhome. 500Hp 12.0 L Ism Cummins Engine On a Spartan Chassis, Air Bag Suspension, Exhaust Brake, 4 Slide-outs, 12.5 kW Onan Diesel Generator, 3 Ducted Air Conditioners, Levelers, 4 Door Gas/110V Norcold Refrigerator, In-Fridge Ice Maker, Main/Window/Slide Awnings, Backup Camera, CD Radio, Inverter, Dishwasher, Satellite Dish, 2 TVs, Outside Shower, Microwave, 2 Burner Range. Please call 780-336-3057 to view. 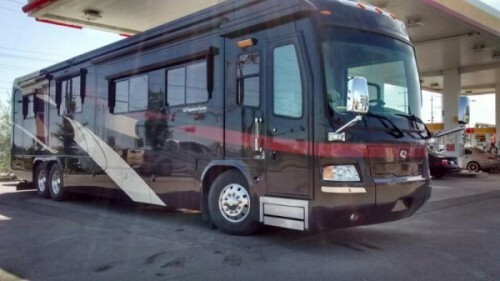 2008 Monaco Signature 45Ft Class-A Motorhome. monaco signature the cadillac of coaches! 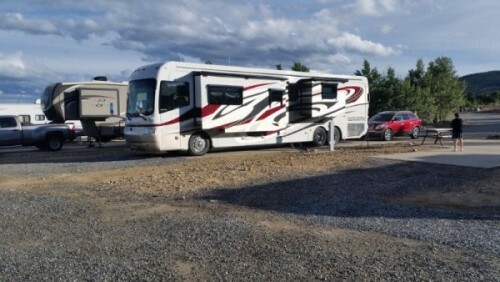 loaded with every possible option, king bed 600 cummins ISX vorad radar, surround sound, gps, dishwasher, 12500 cummins onan generator, 8new house batteries, solar panels, 10 new michelin tires, front to back girard awnings. the list goes on and on. Please call 780-212-0039 to view. 2010 Winnebago Tour 42AD Class-A Motorhome. 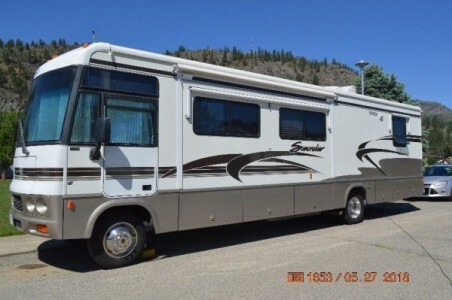 42ft Tag Axle 400hp Cummins Diesel Motor 65 000 km 4 Slides King bed, Aqua Hot Hydronic heat, diesel and electric Onan Generator Energy Command 30 4 TVs, Propane Range, Microwave, Convection Oven, Stacking Washer and Dryer, Shaw Satellite System, DVD Player, Fireplace, 2 Leather Couches. One Expandable Sectional, Dishwasher and Propane,Electric Refrigerator/ Freezer with Ice and Water in Door and Central Vac. 2 Side and 1 Rear Camera. More Pictures Available If Needed. Please call at 780-719-9998 for more information. 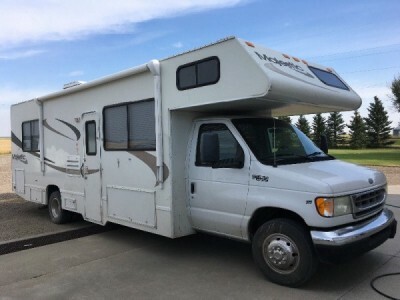 2002 Four Winns Majestic 28R Class-C Motorhome. Selling our 30 foot. 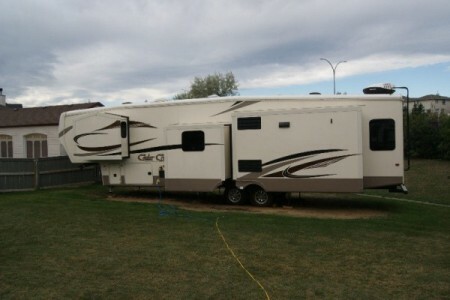 Tires in good condition, recent oil change, new electric 14 ft awning, built in generator with 168 hours, works great, AC. Lots of storage inside and outside. Bought for a summer trip and is no longer needed. Please call or text 403-331-0683 to know more. 2017 Keystone Outlook 312BH Trailer. Absolutely MINT CONDITION!!! Barely Used. 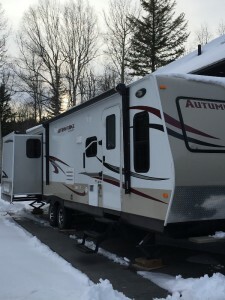 2013 Keystone Outback 312BH. This trailer was purchased new in 2013 and has been used 8-10 times and stored indoors its whole life. It was pulled to Montana once, Kelowna once, Edmonton twice, and then a few trips that were less than an hour drive. Sleeps 10 (4 kids in the back, Queen bed in the front, and then the table and couch fold town for 4 more if required). Outside kitchen is AMAZING - tons of storage, and the included side burner and BBQ plug directly into the propane system.. Second door from the bathroom to the exterior is very convenient. 2 slides. Awning. Lots of great features. Two links below will give you a 7 min quick walk-through OR a wonderful 45 min description of all the features. One of the very few options is the back bunk area. This unit has a set of bunks on one side with a trundle bed below vs. the video version showing a couch. You won't be disappointed in the condition!! Please call 403-990-6678 for more information. 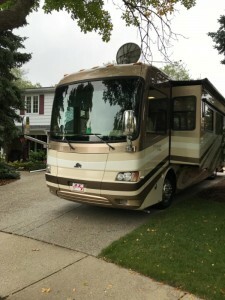 2007 Monaco Signature 45CST4 Class-A Motorhome. ISX600 Cummins Diesel. Allison 6 Speed (Economy) Electronic Shift. 12.5 KVA Diesel Generator. 10,000 Lb Custom Hitch. 4 Slides with Awnings. Girard Patio Awnings. All Electric Model. Custom Full Body Paint. Deluxe Custom Interior, Finishes, Furnishings. Please call 403-554-5988 for more details. 2012 Monaco Dynasty Class-A Motorhome. Comes with, Air level, hydraulic jacks. 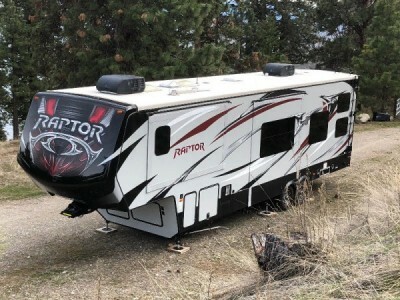 Aqua Hot Heat, Electric heated floors, Bath and half, 650hp Cummins engine, 4 slides, Brand new ties all around, tag axle. Please call 780-512-3805 for more information. 2018 Grand Design Reflection 303RLS Fifthwheel. 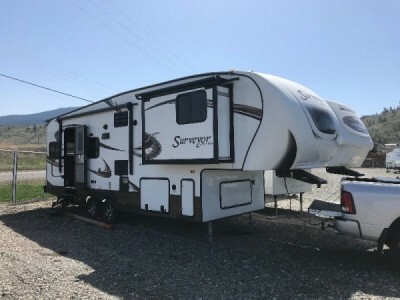 This mid-sized fifth wheel is the perfect RV featuring triple slide outs and a rear living area, plus a kitchen island. Once you step inside you will immediately be impressed with the spaciousness of the living room and kitchen area. With two opposing slide outs the open concept feel of home really shows. To your immediate left of the entrance you will see an optional free standing dinette along with theatre seating in a slide out. There is a center kitchen island which includes a large sink for easy food prep and cleanup. Directly opposite there is a second larger slide featuring a refrigerator, a three burner range with convection microwave above, and a pantry for dry goods storage. This slide also features an entertainment center including a 40" TV with overhead storage cabinets and a fireplace. There is also a hutch with additional overhead storage straight in from the entrance to the right of the kitchen island. Tucked in the rear of the fifth wheel you will find a tri-fold sofa that is perfect for relaxing and also provides additional sleeping when needed (queen sized bed). Back at the entry door you can step up to the right and find a front master suite with bathroom accessible from the hall door, or from within the bedroom. Enjoy a restful night's sleep in a comfortable queen bed including overhead storage cabinets and nightstands beside the bed. There is a slide out with a wardrobe, drawers, and a linen cabinet that falls within the bath. In the bathroom you will find a radius shower with skylight, a nice vanity with sink, toilet, a second entrance into the bedroom, plus a linen cabinet mentioned in the bedroom slide out.. Please call 403-852-9800 to view. 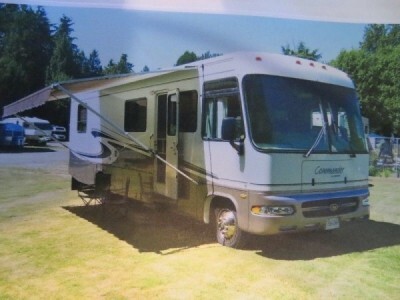 2009 Beaver Contessa 40Ft Class-A Motorhome. 425 Cat. Quad slide. King air mattress. Immaculate condition. No smoking, No pets, No kids, No shoes inside. Never driven on winter roads (no salt). Highway miles. Fully Loaded. READY TO GO SOUTH FOR THE WINTER. Please call 780-910-5210 to view. 2005 Monaco Knight 40PLL Class-A Motorhome. 330 HP Cummins, 8 kw Onan diesel generator. Allison 3000 MH 6 speed transmission. 4 slides, 3 awnings, NEW inverter, NEW 2 door fridge. Convection/microwave oven, 3 burner range. Separate bathroom with shower, 2 furnaces, 2 air conditioners. Skylight, air ride suspension, ABS brakes. Lots of storage inside and in basement. Tires in great shape, 106,000 kms. Comes with 2004 Ford Focus with Blue Ox hitch, brake buddy for the car. Please call 250-753-9692 to view. 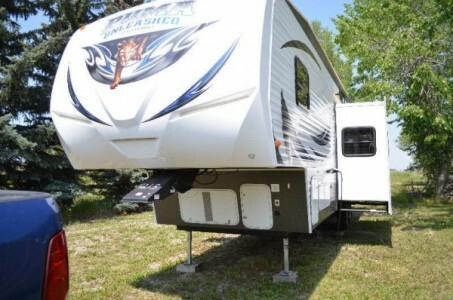 2014 Starcraft Autumn Ridge 30Ft Trailer. 50th Anniversary Edition. 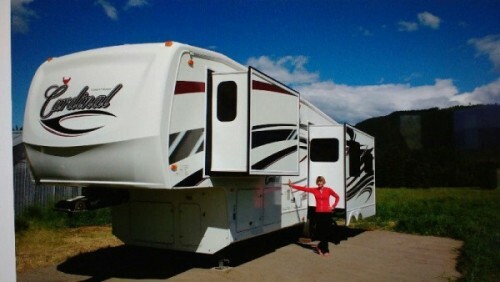 28.6ft long, two pull outs, large master bedroom at back of trailer with dresser and 2 closets. Stereo with outside speakers, 2 TVs and satellite dish included. Bathroom has 5ft shower with large cabinet for extra storage. Dinette table in kitchen with 4 chairs, and lots of kitchen cabinets. Portable bbq that hooks up outside as well as outside shower head. Like new, used one season. Please call 250-552-8309 to view. 1997 Winnebago Itasca Suncruiser 34ft Class-A Motorhome. Its big, its comfy, it rides like dream and you can park and set up this beast in under 10 minutes! The diesel has LOTs of power for travel, and has a built in generator. Rainy days in the campground don't matter when you have this kind of space! Please call 403-527-0245 to view. 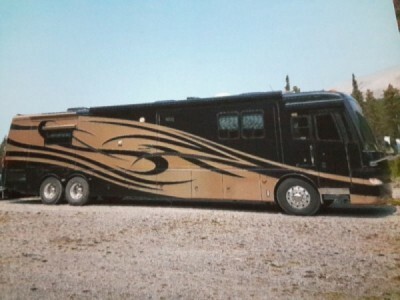 1999 Thor Hurricane 30Ft Class-A Motorhome. Class A V10 Hurricane. Sleeps 7. Please call 780-333-1115 to view. 2017 Forest River R-PoD 178 Trailer. PRICE REDUCED! Very clean, very well taken care of. 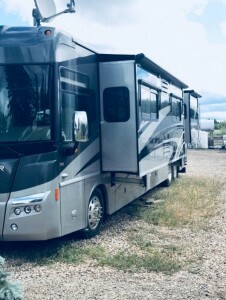 In excellent condition with all standard features of RPOD 178 - queen bed in the rear and a spacious u-shaped dinette (that folds into another queen bed) in the front. Slide out kitchen to create more living space. The slide out kitchen includes a dual burner stove top, sink (with cover), fridge and microwave / convection oven. The included wall mount TV is near the trailer door positioned for viewing from the u-shaped dinette, as well as the rear queen bed. LED lights provide abundant lighting throughout. The exterior of the unit is in excellent shape and includes ample front and rear storage (rear pass through and front full width storage). 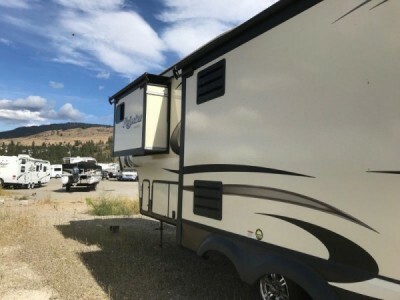 The trailer comes with a spare tire, an outside shower and has a connection for solar power option. Trailer Weight (Dry) - 2554lbs. Hitch Weight - 275lbs. Carry Capacity - 1203lbs. Black Tank - 30 gallons. Grey tank - 30 gallons. Fresh Tank - 36 gallons. Length - 20ft (incl. hitch). Width - 8ft. Height - 9.6ft. Interior Height - 6.5ft. Water Heater - 6 gallons. Furnace - 20000 BTU. SUV Towable. Please call 403-816-0843 to view. 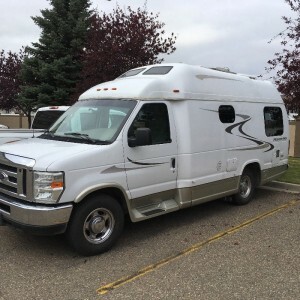 2008 Pleasure Way Wide Body Camper Van. Pristine and ready to go. 4 brand new tires. Tow hitch, solar panel, a/c. Please call 306-628-8559 to view. 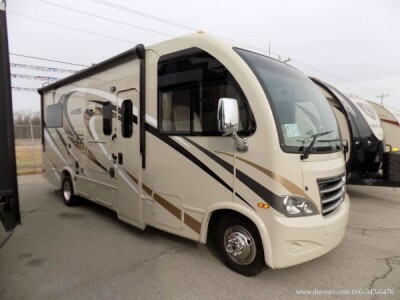 2011 Tiffin Allegro Bus 43QRP Class-A Motorhome. PRICE REDUCTION. 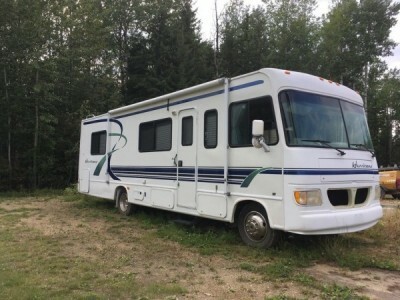 450 Cummins, Powerglide chassis, 10,000 Onan Gen set, 77400 km(48000miles),owned since new, 4 slides, 4 TVs(one outside), king bed, queen pull out, dishwasher, stacked washer dryer, Shaw direct auto sat dish, Vacuflo, all electric with residential fridge, 3 AC/heat pump roof units, Aquahot hydronic heating system, satellite radio ready. No smoking. No pets. 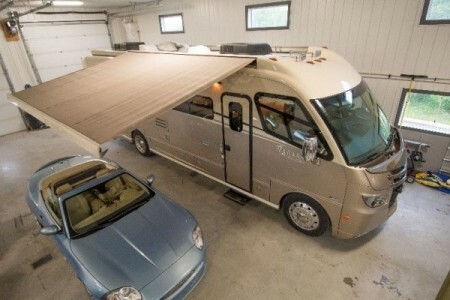 Great motor home ready for the road. Contact for more detailed list of options and history. Please call 403-804-5680 to view. 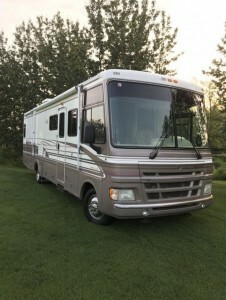 2001 Triple E Commander Class-A Motorhome. 34ft no slide means no extra weight. No side wall leaks, no torque on walls. Ford 6.8L V 10 triton engine( 45,600 kms). Built in hydraulic jacks. electric step. vacuum bonded exterior with gel coat. remote heated mirrors. auxiliary heating in back bedroom. LED interior lighting. newer tires (16 ply mich.). GVW 20,500 lbs. genset w/71 hrs on unit. sat. system. built in vacuum. 2 TVs. drivers door w/power window. ducted a/c w/heat strip. 2 automatic roof fans. rear axel air bags. b/u camera w/sound. alarm system. tow bar with wiring harness included. no leaks. more info & pictures on request. Please call 604-574-2142 to view. 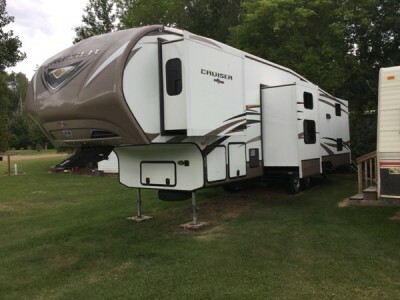 2014 Crossroads Cruiser CF355BL Fifthwheel. 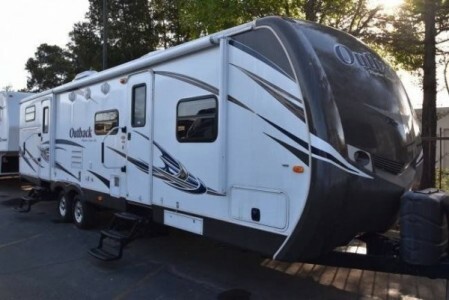 36ft, 2 bedrooms, 4 slides, sleeps 10, low mileage. 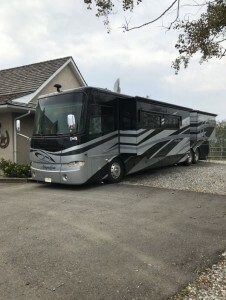 Options include dual a/c, washer/dryer, large shower, granite countertops, lots of cupboards, full custom skirting, fireplace, 42in and 32in LCD TVs, queen bed in master, double sized bunks in second bedroom, king size sofa bed, 17ft power awning w/LED lighting, lots of seating in large, open living area and more! Please call 587-281-3042 to view. 2014 Forest River Surveyor 30Ft Fifthwheel. Excellent condition, new memory foam mattress, roof mounted solar, new TV, fire place, transferable extended warranty. Please call 604-787-7150 to view. 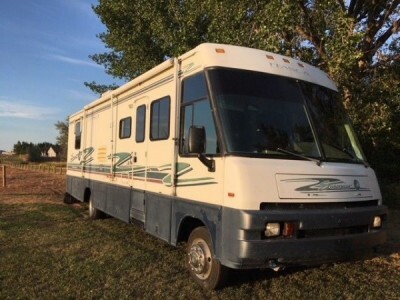 1999 Fleetwood Pace Arrow 33Ft Class-A Motorhome. 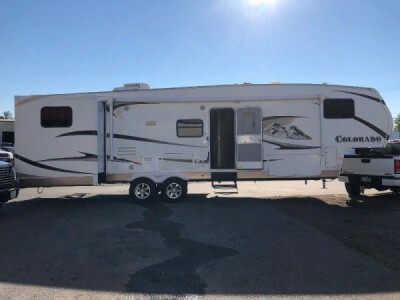 2 slides, 4 hyd leveling jacks, queen bed, sleeps 6, good Tires, gen set, V10 Triton ford chassis, automatic, good size fridge, microwave, dual air conditioners. Please call 780-237-9306 to view. 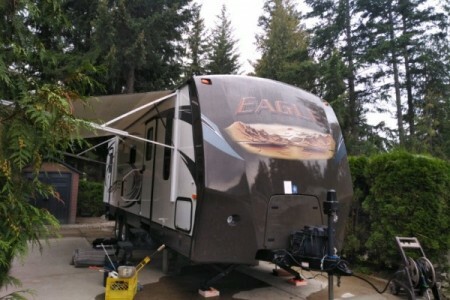 2013 Jayco Eagle 284BHS Trailer. 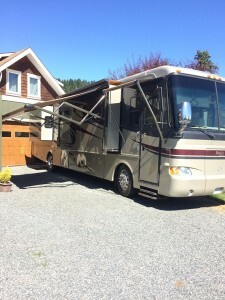 Fully loaded 2013 28 foot double over double bunkhouse model in excellent condition. Front queen bedroom with access on both sides of the bed with wooden sliding doors for privacy. Dinette and couch also make into beds allowing for sleep space for up to 10 campers. Swivel entertainment unit allowing for TV viewing in bedroom or living area. Built in stereo/DVD player with surround sound with interior and exterior speakers. Large open layout with U-shaped dinette and couch in slide as well as two stools at kitchen counter allows for comfortable seating. Dinette seats also extend. 600 watt inverter allows for TV/DVD viewing off the grid. 1500 watt integrated solar panel ensures two 6 volt batteries are always charged. 84 gallon fresh water tank plus 6 gallon quick recovery hot water tank allows for lengthy dry camping stays. Integrated AC unit (requires power access) or fantastic fans with vent covers make hot summer nights bearable. 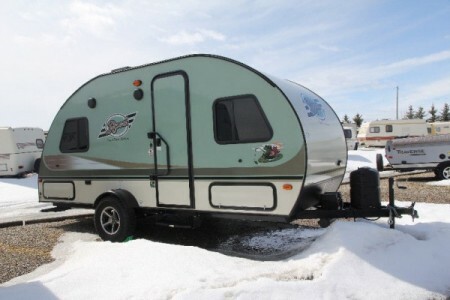 Heated underbelly allows for early and extended camping season or use in the fall for hunting season. Excellent outside storage and extra storage space under the bed for your gear. Power front jack and power stabilizers allow for easy set up. Upgraded tire and rim package. Factory installed rear mounted bike tray holds 4 bikes (up to 250 pounds). Bumper mount BBQ with quick connect included. 2 extra large exterior ground cover mats included. Fresh water hose and black water tank wash hose also included plus black water connection kit and hose. Easily towed with 1/2 ton pick-up. Hitch and sway bars included. Please call 250-851-5155 to view. 2017 Cedar Creek Silverado 37MBH Fifthwheel. Only slept in for 5 nights. no children, pets or smoking. Only 100km on the trailer tires. All factory issues fixed. Vehicle in perfect condition. Stair upgrade to heavy duty entrance steps. Will include Champion Generator and drainage hoses. Please call 587-832-4653 to view. 2017 Thor Axis 24Ft Class-A Motorhome. 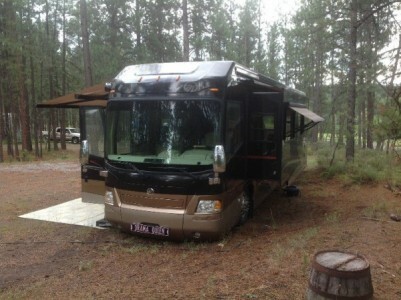 This Axis SUV 24.1 by Thor Motor Coach will make your life a whole lot simpler. Step inside this class A gas coach and see how convenient your weekend travels will be. This unit features a single slide and has sleeping space for five individuals. As you enter the side door there is a 32" LED TV directly above your head. To your immediate left is a round kitchen sink, three burner range with microwave oven, refrigerator, and storage closet. Straight in through the door is a slide out sofa with air bed plus a pedestal table for dining. The slide provides even more space to move around when fully extended. Moving toward the rear of the coach you have a complete bath with shower, toilet and sink. The bath door can be opened further than normal with its bi-fold hinges and positioned when open to block off a larger space for more privacy when dressing. The very rear of Axis model 24.1 features two 38" x 75" beds with a small nightstand between including storage below. Add a cushioned insert if you do not want two separate beds to create a king size bed if you like. You will love having lots of exterior storage space with the rear Mega Storage system and more for all of your larger gear when traveling. Please call 250-616-8543 to view.
. Mega Storage Inside & Outside: lots of cabinet space above and below, large pass through garage compartment. Please call 250-804-8184 to view.